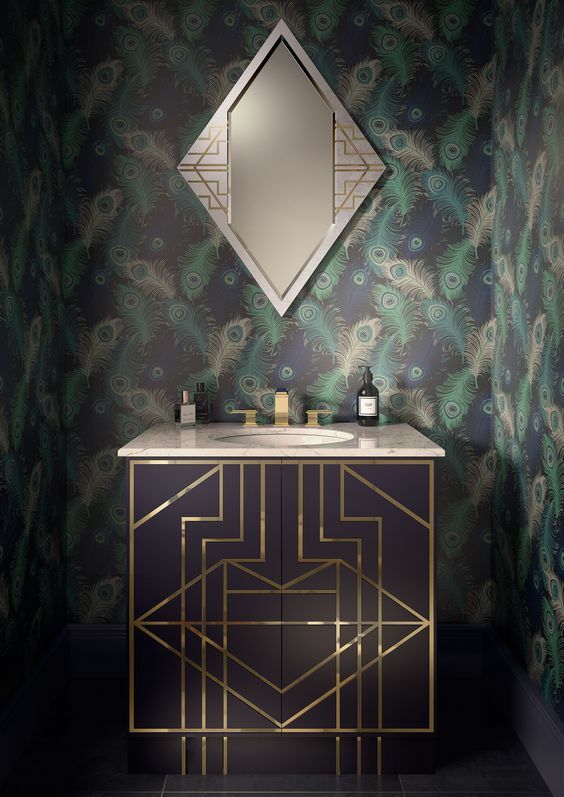 Art deco is a style of visual arts, architecture and design that first appeared in France just before World War I. 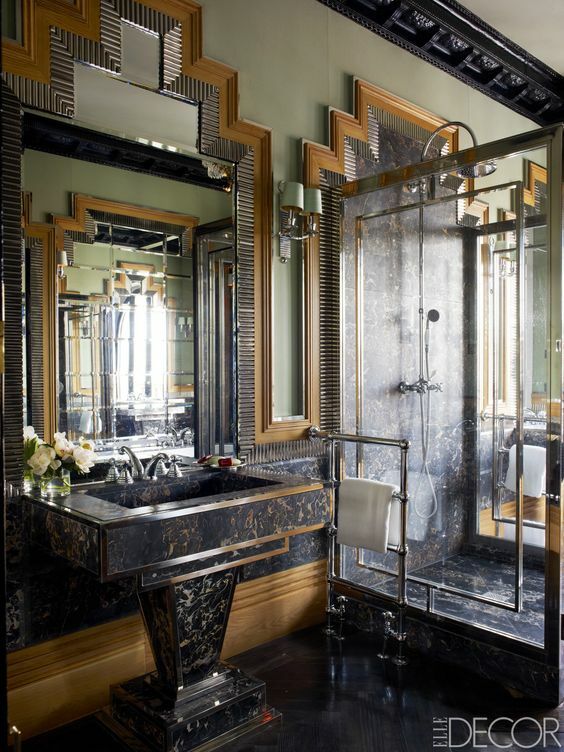 It combined modernist styles with fine craftsmanship and rich materials. 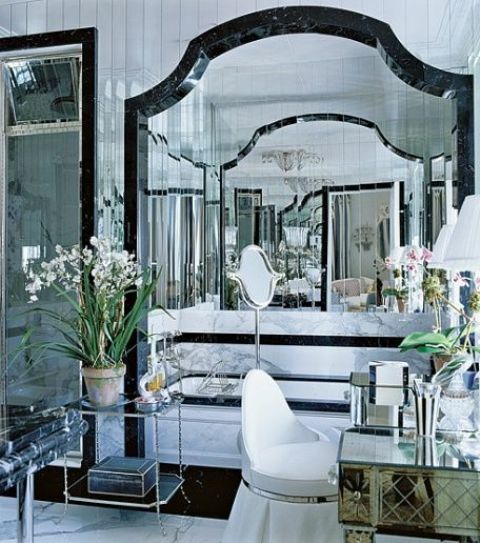 It was strongly influenced by the bold geometric forms of Cubism. 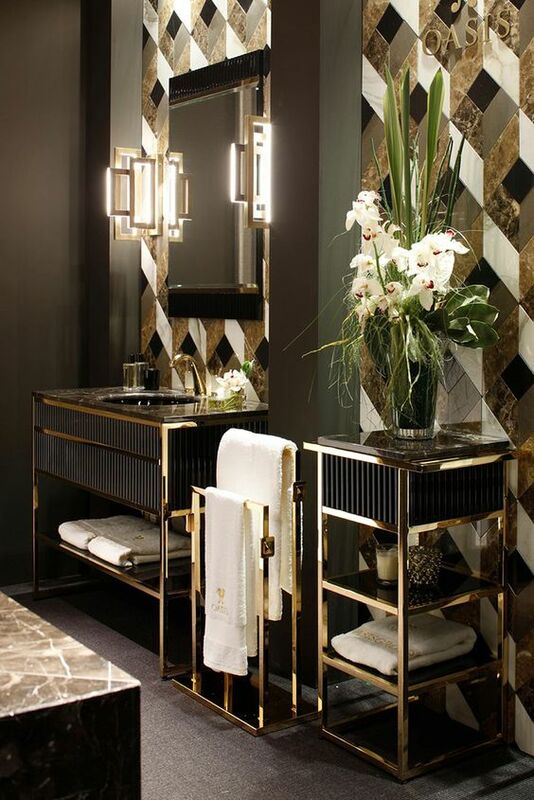 Bold, modern, geometric and very refined – this style is what we all love! 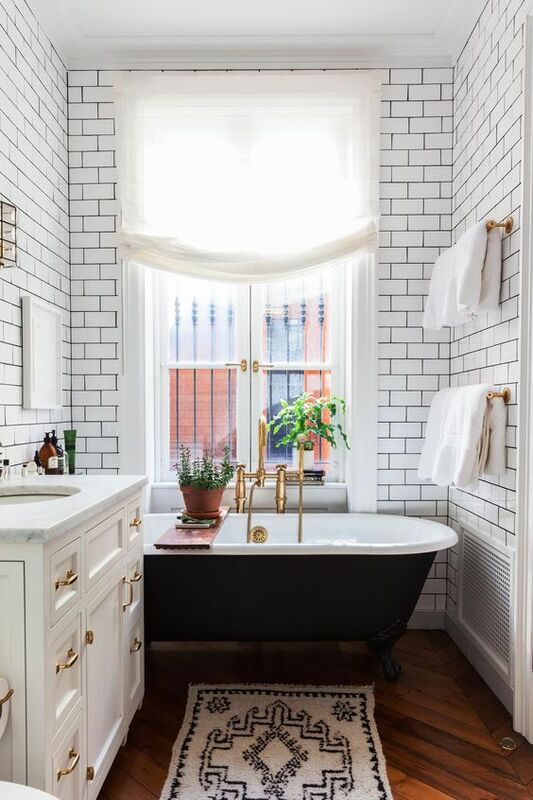 If you want to decorate some spaces in this style but don’t know how, I have some ideas for you. 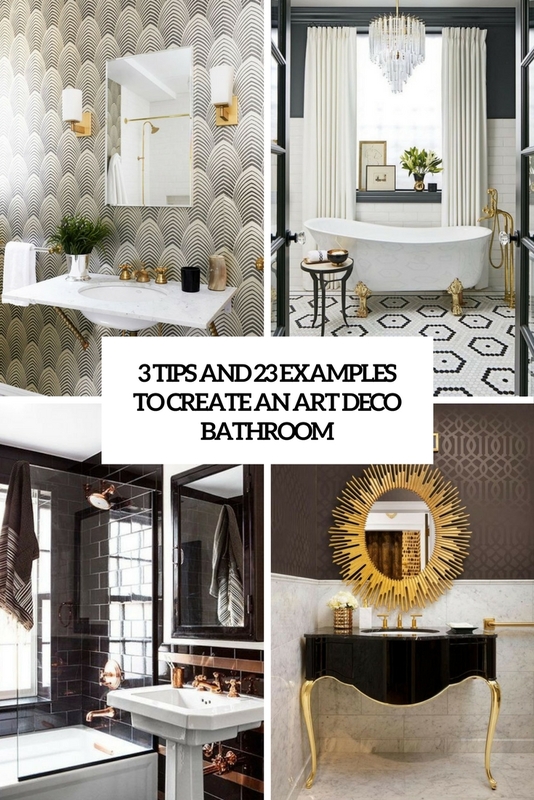 Today we are talking of art deco bathrooms, let me show you how to decorate one. 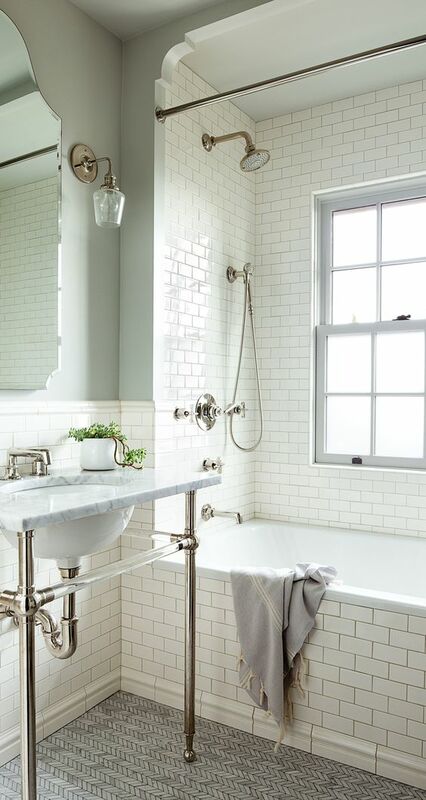 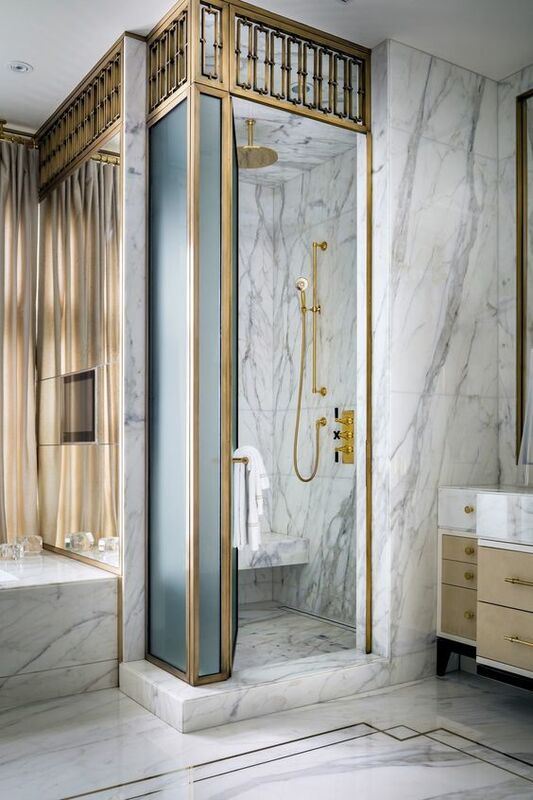 Marble is a timeless idea for any bathroom, and an art deco bathroom will look very exquisite with any kind of marble – white, grey or black, both on the floor and walls. 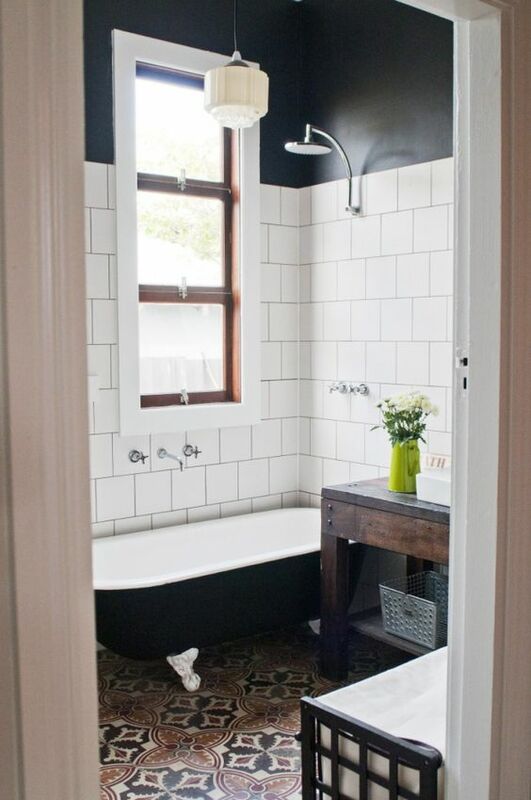 As for tiles, choose glossy ones: black, white, navy, emerald or any other color you like. 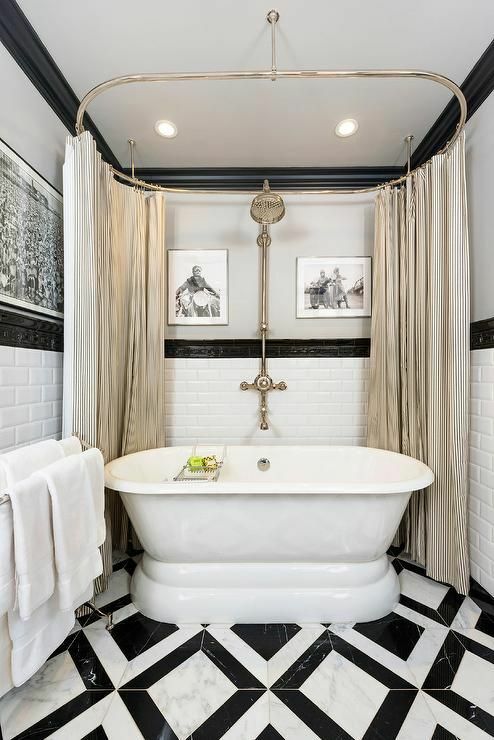 Black and white are the most popular colors for decorating art deco spaces, and creating various geometric patterns of them is a chic idea. 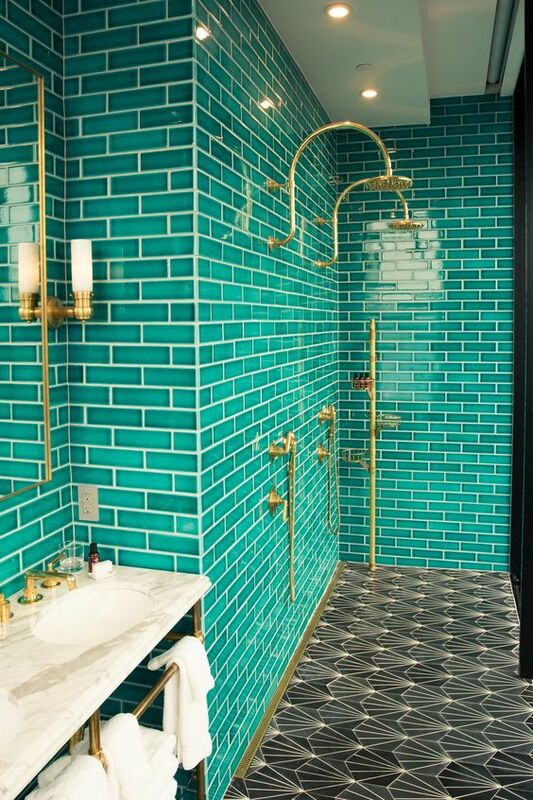 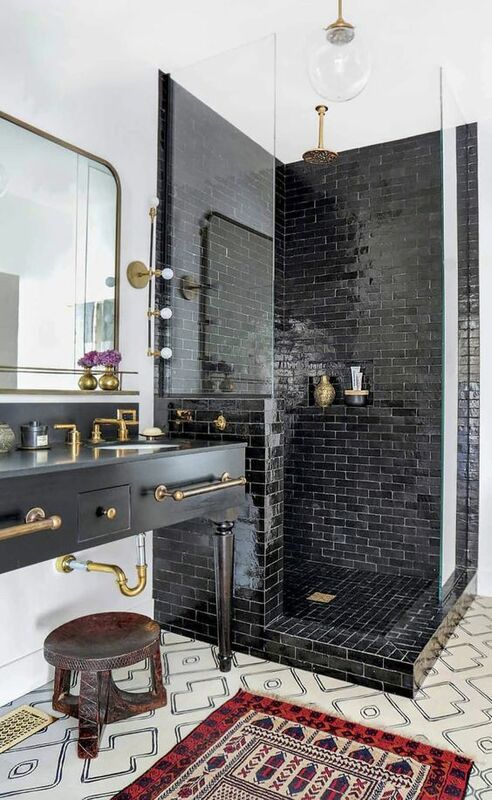 Subway tiles are also welcome, they look super cool and aren’t costly, besides, these tiles have made a huge comeback now. 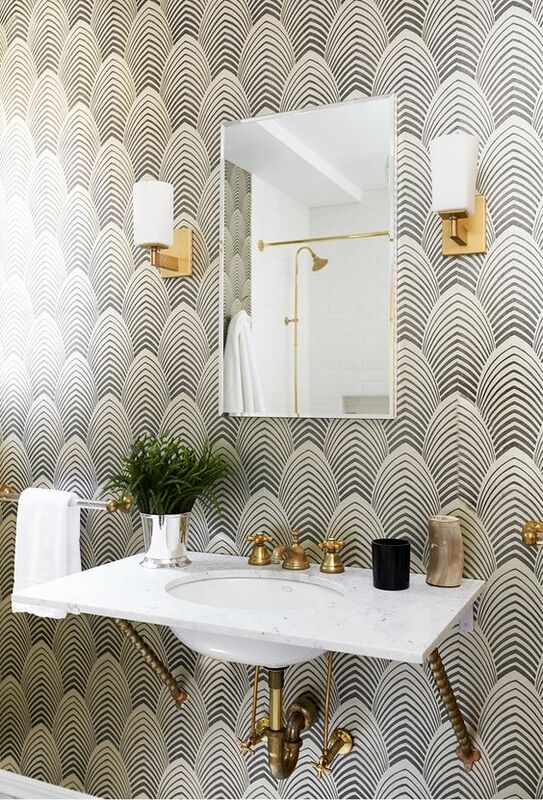 If you don’t feel like that and want something more eye-catching, go for art deco printed wallpaper but keep in mind that it should withstand the humidity, which is traditional for bathrooms. 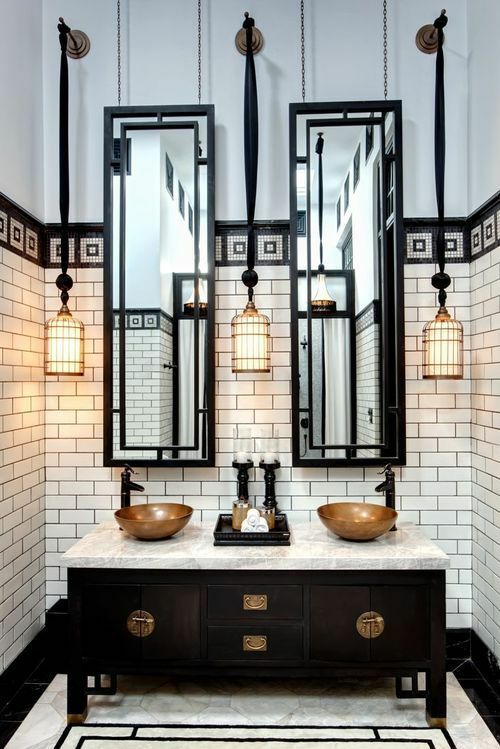 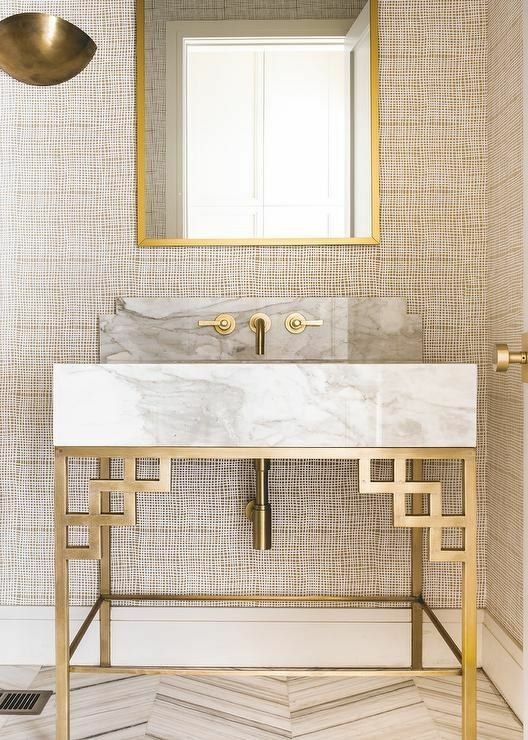 Your bathroom vanity will help you to highlight your art deco style. 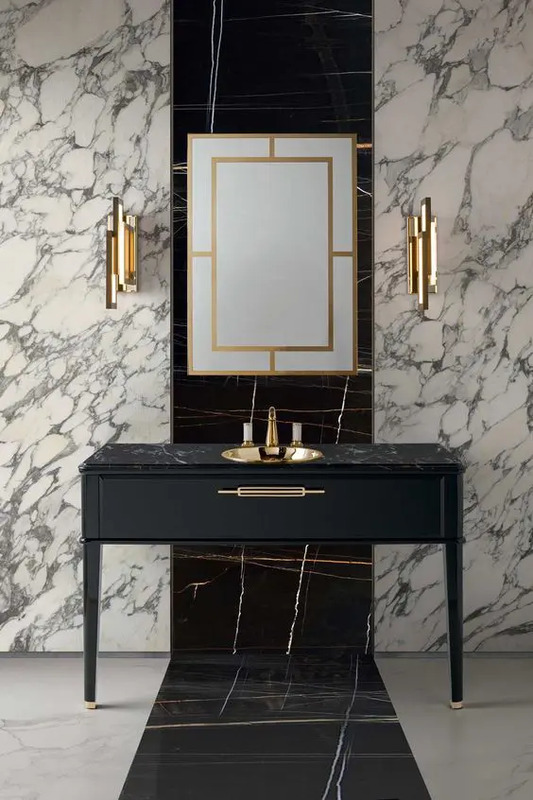 It can be a stunning black and brass vanity, a double or single one, or a gorgeous black vanity with geometric brass inlay, or maybe a marble vanity – just a marble countertop is enough to make the bathroom look amazing. 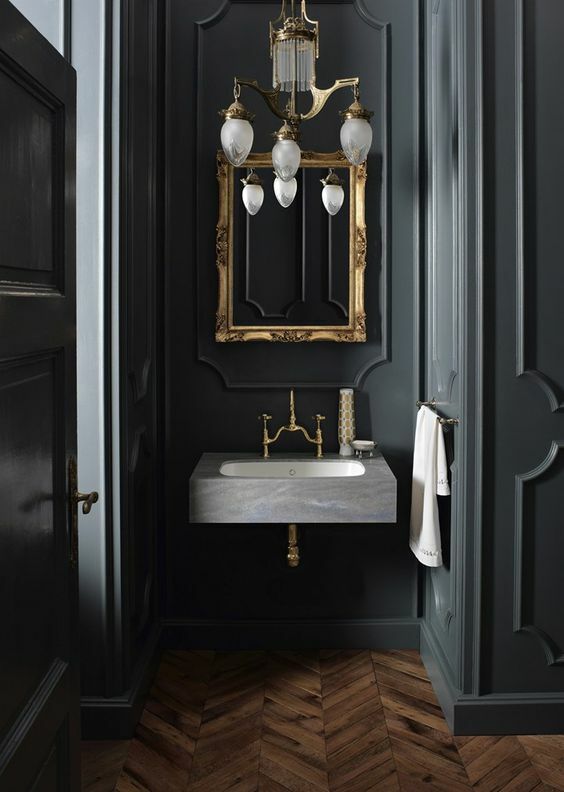 Various geometric detailing is welcome, and rock a matching mirror. 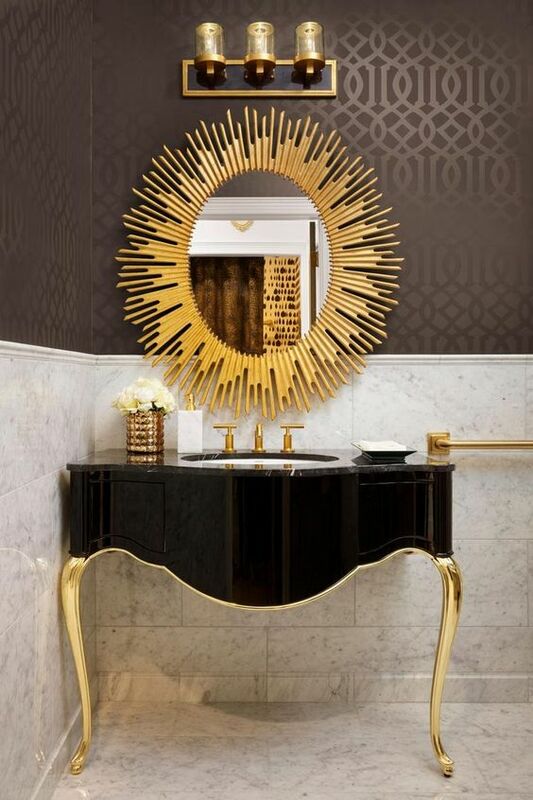 Sunburst mirrors are also amazing 1920s style. 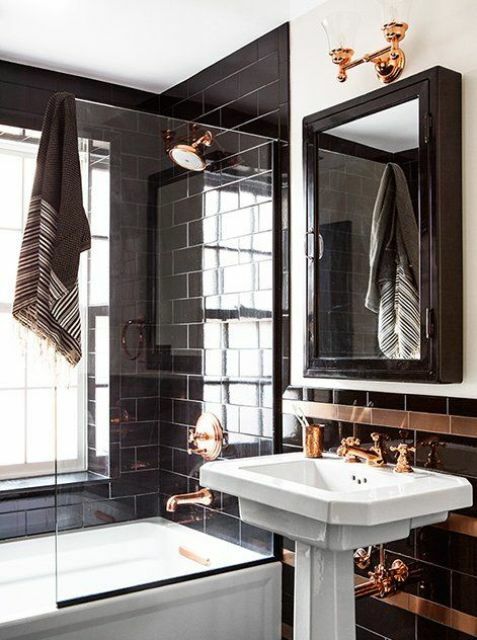 Brass and copper are welcome for decorating and you can also use different fixtures in these metals to tie up the parts of the bathroom. 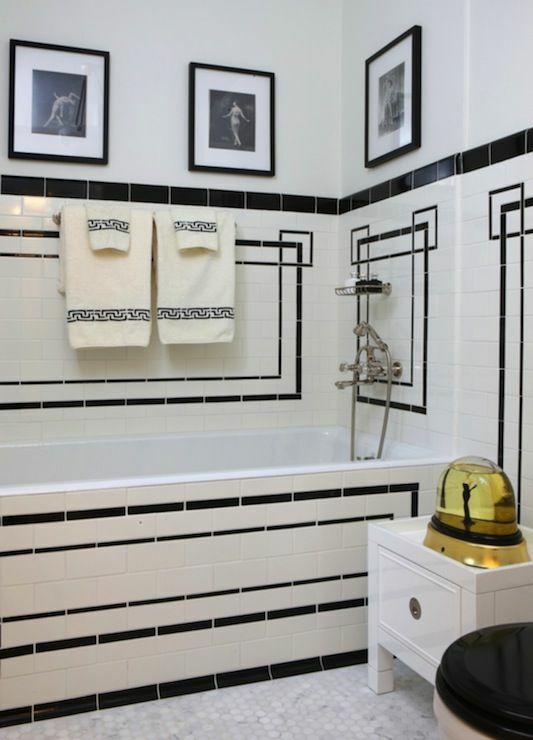 Art deco style means glam, and you need to add it to the space. 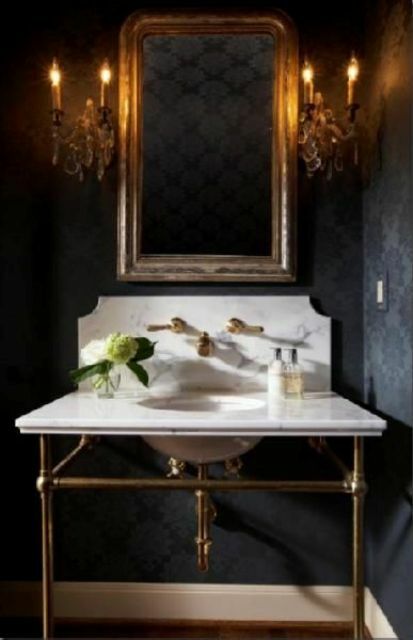 It can be a gorgeous crystal chandelier, metallic touches – silver, brass, copper ones, lots of glasses and mirror. 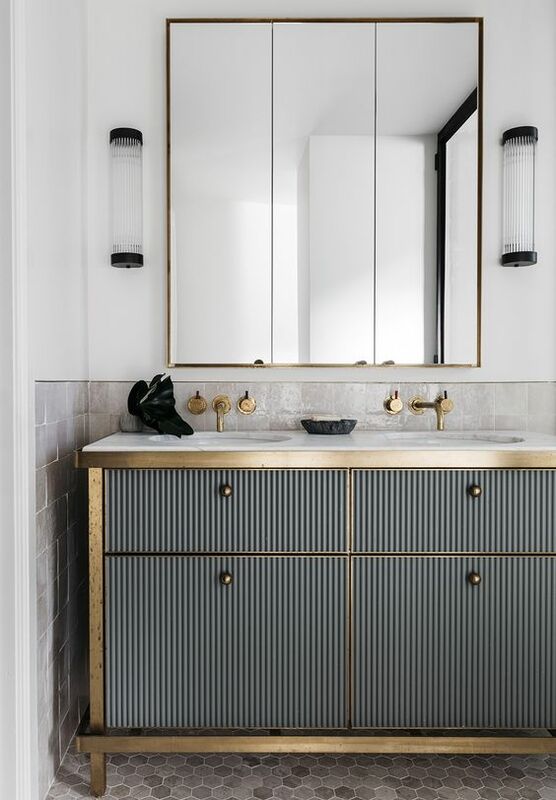 Refined lamps and vintage gilded frames for mirrors are welcome for your art deco space. 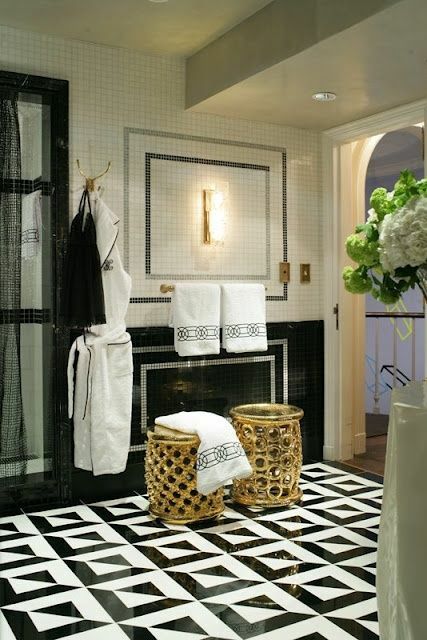 Rock bold geometric stools in some metallic shade and maybe exquisite geo rugs and curtains if there’s a window.